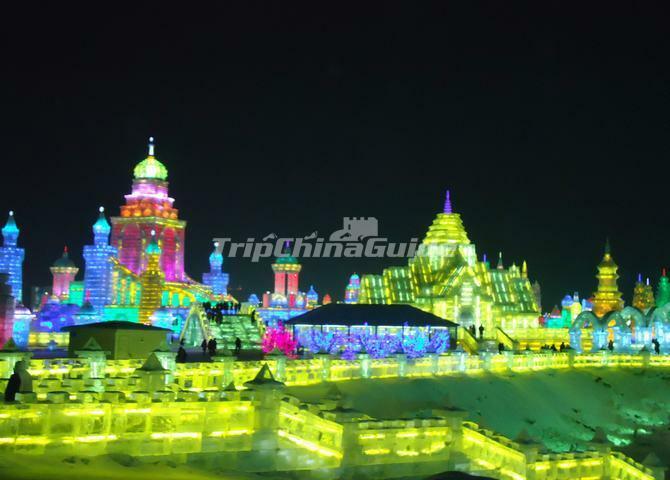 This ski tour package enables you to enjoy the wonderful scenery of the China's Snow Town and the beautiful ice lanterns, ice sculptures, and snow sculptures during the Harbin ice festival. 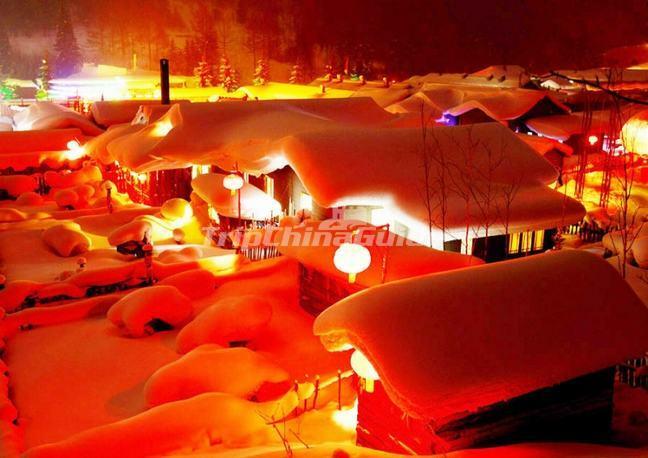 You will enjoy one-day skiing in the famous Jihua Ski Resort. 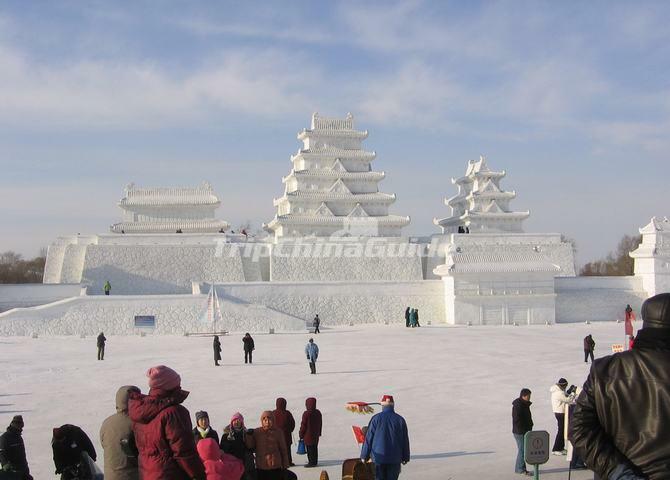 Arrive in Harbin by air, the "Ice City of China" and the capital city of Heilongjiang Province. Check into your hotel and transfer to visit the world-famous snow sculpture show: International Snow Sculpture Art Expo on the Sun Island. 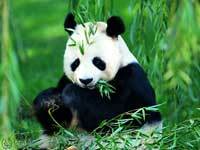 Then make a safari-style adventure in the Siberian Tiger Park. In the evening, visit the Ice Lantern Fair in Zhaolin Park. 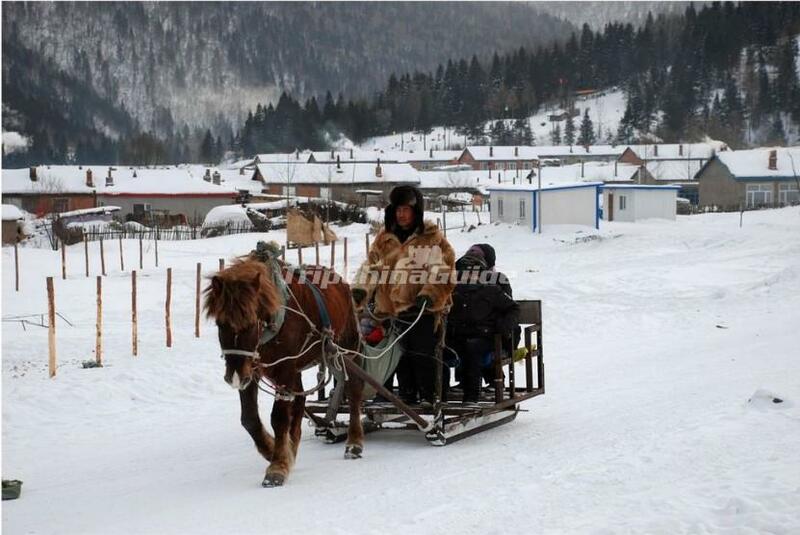 Drive to Jihua Ski Resort to enjoy skiing (at your own expense). 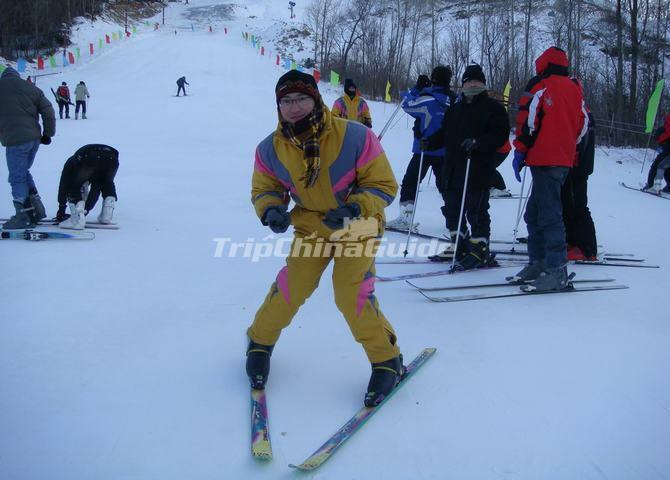 The ski resort has equipments for rent, if you are a beginner, you can even hire a skimeister. Drive back to Harbin. 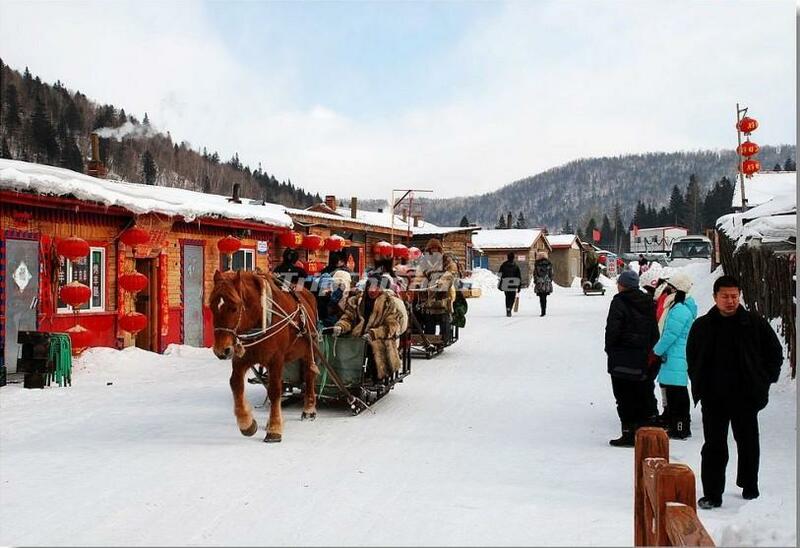 After Breakfast, drive 5-6 hrs to China's Snow Town in Mudanjiang; have lunch on arrival, then mount the Viewing Deck where you can enjoy the panoramic view of China's Snow Town; watch the local folk opera "Er Ren Zhuan"; later, walk around the Snow Town at your own pace, you can enjoy the beautiful snowscape and experience the lifestyle of Snow Town people. After Breakfast, take a walk on the "Snow Charm Avenue", which is full of simple farming village characteristics in Northeastern China. Visit the Log Cabin Museum, experience the life of loggers living in Snow Town. Drive back to Harbin for the flight to your sweet home.